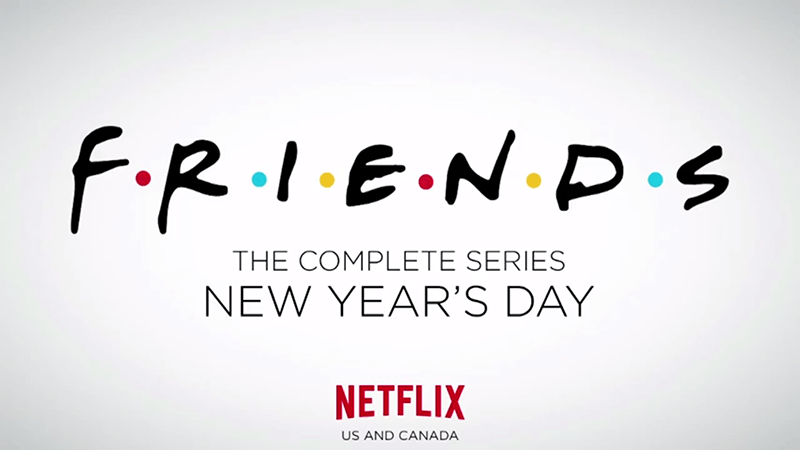 Get ready to ring in the New Year with Chandler, Monica, Rachel, Ross, Phoebe, Joey and all your favorite guest stars from NBC’s hit TV show, ‘Friends.” The complete series is coming to Netflix Streaming on January 1, 2015. This is the first time that the entire series of ‘Friends’ will be available on any subscription streaming service. Fans of the show, which originally aired from 1994 to 2004, will be able to binge-watch all 10 seasons, 236 episodes and 83 hours of their favorite group of TV friends beginning on New Year’s Day 2015. The complete series of ‘Friends’ will be available for streaming in both the U.S. and Canada. To celebrate the announcement, Netflix released a special video featuring The Rembrandts singing their original ‘Friends’ theme song at Central Perk in New York. Click the image below to watch the video. Are you pumped for the return of ‘Friends’ to the small screen? Could this BE any better of an announcement?